Recently built and modernly designed, this business centre offers a selection of bright and fully furnished offices of various size, meeting and conference rooms equipped with the latest technology systems and professional secretary support. Catering services are available upon request. The building is located within easy reach of the International Airport. Additionally, the centre is surrounded by useful services, making it a perfect location to set up your business and develop it as it expands. Located in the heart of the business district, this modern building offers a professional working space that suits professionals as well as small and large companies. The building consists of elegantly furnished offices, meeting and conference rooms, high speed internet connection and all the services needed to run a profitable business. The business district offers a wide range of amenities and is well served by public transport. This space, accessible 24/7, offers support services to enhance your company's efficiency. With a prime location, your business can benefit from an abundance of local amenities and eateries while establishing a prestigious presence at this sought-after area. There are well designed meeting rooms for collaborative projects, as well as breakout/lounge spaces for effective networking. Just 2 minutes away from the space by foot, there is a cinema, many hotels and several museums to explore. Located in the heart of the Central Business District, this modern building offers working spaces ideal for professionals, small and large companies and for virtual office activities. These working spaces consist of professional offices, meeting and conference rooms, fully furnished and equipped with internet services. Other services include; 24-hour access, spacious meeting rooms, high-speed internet, air-conditioning. Local amenities surround the centre as well as numerous useful public transport links to ensure that your business maintains its connections throughout the city and globally. This centre provides a choice of private serviced office space, coworking options and meeting rooms from a prime Lisbon location. No matter if you are an entrepreneur, established company or professional, that needs to maintain effective business connections whilst growing your business from a prime location, this is the venue for you. It stands just ;ess than 10 minutes from the airport, making it ideal for companies anticipating international clients. This brand new building, situated in the business district in the heart of Lisbon, is provided with secure parking facilities and gym. Surrounded by restaurants and international companies, this building is set in a prestigious address, well served by public transport and easily connected to the international airport. At this space, you can benefit from reception services, well designed meeting rooms and conference facilities. Close by, there are many restaurants, hotels, museums, theatres and historical monuments. If you are looking to put your company in the center of Lisbon, focusing on your business come and visit this space. Located in the central district of Lisbon, this area is scenic with hotels, shops, theatres and architecture. This modern and prestigious office space is situated in the central district of Lisbon. The building provides spectacular views of the city while the business centre is made up of nine private offices, two-coworking rooms and a meeting room that can cater for up to 12 people. Three memorable buildings in two prime locations will serve as a positioning support your brand with a prestigious address that will give your business a strategic presence. Situated in a prestigious area of Lisbon, this business centre provides fully equipped flexible office space that is supported by a range of business support services. Meeting and training rooms available as is an auditorium ideal for presentations. This centre offers a fantastic location close to numerous financial, technology, entertainment and commercial companies in a central area of Lisbon. Modern and contemporary office space and fully customisable executive suites are available. This space is open-plan, fitted with quality equipment, and offers unparalleled amenities including a professional secretarial team, business lounges, virtual office options and meeting rooms. A wide range of offices and open working spaces, provided with air conditioning and advanced technology systems, are available in this contemporary style building, designed by a famous architect. The centre, strategically located in the business district of Lisbon, is surrounded by international companies, a large shopping centre and several restaurants and it is just 10 minutes’ away from the International Airport and well connected to the city centre. This stunning office space provides accommodating facilities in a pleasant working environment which will enhance your company's efficiency. With an abundance of natural light and 24-hour access/security, you can benefit from IT support, copy and printing facilities, high-speed shared internet and reception services. Your visiting clients will be impressed by friendly support staff, as well as the abundance of local amenities within walking distance, such as restaurants, shops, and performing arts theatres. This unique community space is ideal for creatives where each month everyone meets for lunch to discuss their projects and explore collaborations. The space in the Alcântara district of Lisbon is made up of 14 re-purposed shipping containers (each seating up to five people) and two double-decker busses refurbished to provide a co-working area and meeting space. This centre is also a multicultural venue with events throughout the year. This centre is well situated in the heart of Lisbon, and provides an array of useful services including spacious meeting rooms for collaborating, business lounge for relaxing and liaising with other staff members and a welcoming reception desk who handle administrative responsibilities. In terms of transport, the centre is well situated close to several public network links and there is plenty of interesting activities and landmarks within walking distance. Other local amenities are numerous including bars and restaurants. Here, there is something for everyone to enjoy. 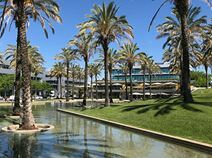 This business centre is situated in Portugal's major business district, just off the centre of Lisbon, well connected to the motorway and within easy reach of the seaside. The building is provided with secure parking facilities, cybercafé and lounge area. The district hosts leading companies and offers a selection of restaurants, cinemas, a shopping mall and a health club. There are many other forward-thinking businesses in the area with which you can network and collaborate. Offering a thriving community and supportive ecosystem of professionals, entrepreneurs and innovators in the heart of Lisbon. Offices are fully furnished and offer 24 hour access, with meeting rooms and more. 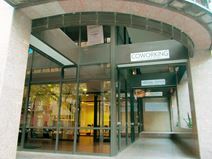 This centre creates and maintains connections, synergies and a network of individuals and companies. The building is found in a great location with plenty of local amenities including public transport links. This business centre is conveniently located off the A5 motorway, and offers panoramic views of Monsanto National Park. A range of offices is available, along with a host of business support services. The office-building features a number of professional services including; high-speed internet, meeting rooms, conferencing facilities, break-out rooms, secure parking and dedicated professional reception team. 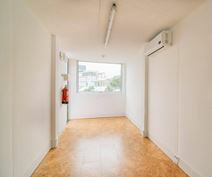 The centre is well situated nearby multiple public transport links as well as a host of local amenities to be enjoyed outside of office hours. Just minutes away from Lisbon's most historic neighbourhoods such as Campo de Ourique and Estrela this business centres provides one of the best corporate locations for fully furnished and serviced office space in the city. For convenience the Amoreiras shopping center is only a few steps away. You can benefit from the centre's 24 hour access, allowing you to work through late hours, for however long you desire. Your business can benefit from this centrally located centre's 24-hour access, great transport links and a friendly on-site management team to answer any queries and help your business thrive! Rato underground station which is just a short ten-minute walk away, and the area is also serviced by many bus routes. This commutable space features bike racks, meeting room access, shared spaces, virtual offices and more; accommodating businesses of any background with ease. This centre is the ideal solution for creative and professional entrepreneurs looking for an innovative space in Lisbon, Saldanha. Here, you will also have access to free hot drinks, meeting rooms, printing and mail services and the chance to network with many other like-minded entrepreneurs! Located in the center of the Portuguese capital in the business district, Bworking Spaces is an inspiring place where ideas flow, businesses can be built and relationships evolve. 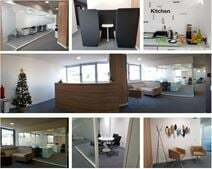 This brand-new office space in the heart of Lisbon has recently opened its doors in March 2019. The space is bright, spacious and airy, offering fully equipped offices at an affordable rate and with flexible terms. Your membership rates also allow you access to communal areas including balconies, fully equipped kitchens and more. The building has a range of meeting rooms, and a fully equipped conferencing room. The business centre is situated in the Lisbon Chiado, an unassuming property in the centre of the capital. Offering a mix of traditional architecture and fully renovated business space, with over 100 workstations and a selection of meeting rooms. Here, it is also possible to take advantage of the dedicated reception desk that are available to assist with any queries that may arise, as well as handling general administrative duties. There are also videoconferencing facilities available and high-speed WiFi. Close to many excellent restaurants, hotels, shops and more. Located in one of the most strategic area of Lisbon, which hosts important multinational companies, this modern building is well connected to the city centre and to the International Airport. This centre offers a functional working environment, ideal for running a successful company. You can benefit from 24 hour access, high-speed shared internet, a secretarial team and conference facilities. Close by, there is a shopping centre, a great selection of restaurants, several hotels and event spaces. Located in the very heart of Lisbon, this business centre will put you and your business in the spotlight in a highly convenient area. The centre has excellent public transport links with the nearest metro station only a 4-minute walk away and buses passing through the main road frequently. The centre is opening in November 2018 and will offer a range of affordable private offices and collaborative coworking spaces. You will also have access to meeting rooms and a range of excellent amenities including high speed internet and telephone connectivity.